We have previously written about how the Blueye Pioneer has been used to explore the deep parts of the Great Barrier Reef. But did you know that the Trondheim Fjord is home to marine protected areas and cold-water coral reefs? Join us for a dive with the underwater drone on the Lophelia reef on the Tautra sill, the worlds shallowest cold-water coral reef! Knowledge about cold-water corals in the Trondheim Fjord has been known for centuries. Johan Ernst Gunnerus, bishop in Trondheim from 1758 to 1773 and founder of Royal Norwegian Society of Sciences and Letters, took great interest in studying and describing the marine fauna of the Trondheim Fjord. 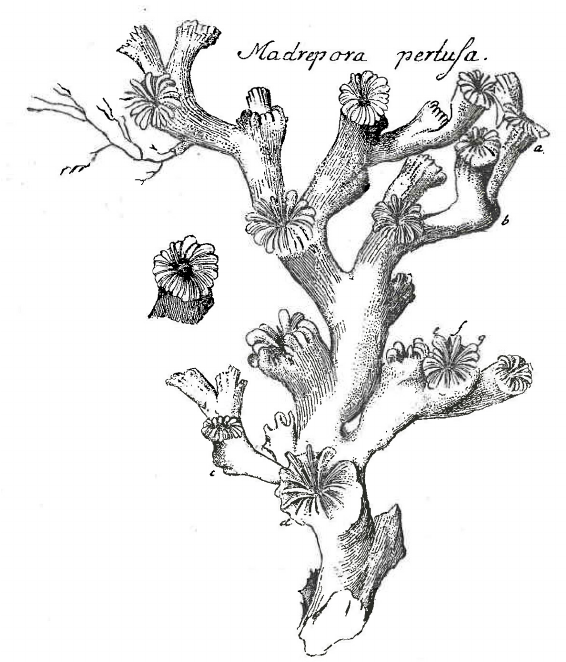 He described the reef building stony coral species Lophelia pertusa in 1768. The first illustration of the species Lophelia pertusa, published by Gunnerus in 1768. In 1856 Vilhelm Ferdinand Johan Storm was hired as the curator for the Royal Norwegian Society of Sciences and Letters. Storm collected and described fauna in the fjord and mapped several areas. 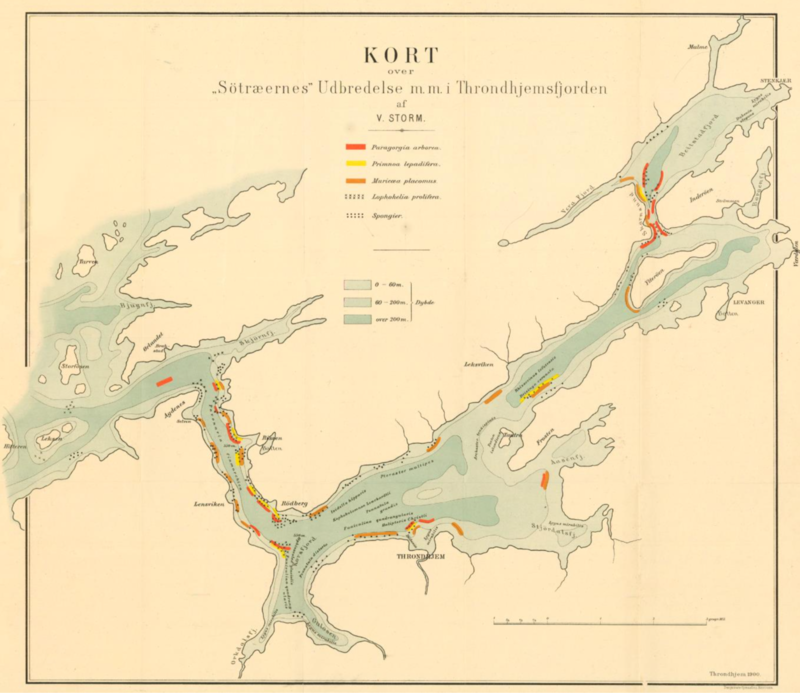 In 1901 he published a map showing occurrences of cold-water corals in the Trondheim Fjord. 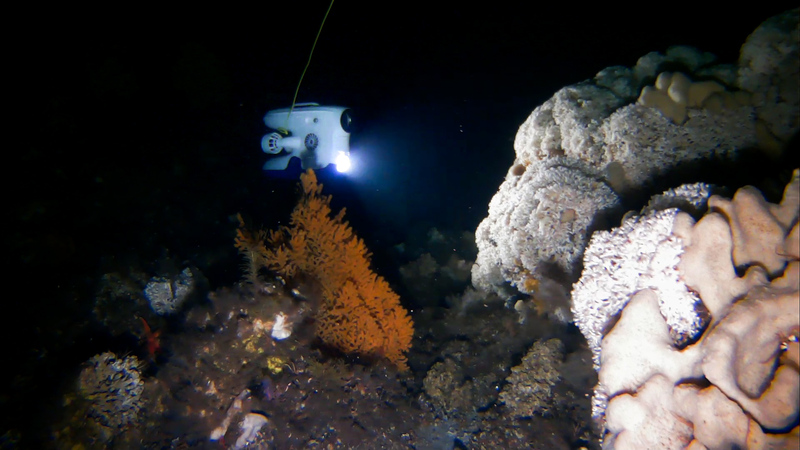 Blueye have visited some of these sites before, like the deep wall on the north side of Munkholmen where we have filmed beautiful fan corals of the species Paramuricia placomus. Map showing cold-water corals in the Trondheim Fjord. Published by Storm in 1901. The Tautra sill (Tauterryggen) is home to the shallowest known cold-water coral reefs at 39 m depth, made by the cold-water species Lophelia pertusa. The coral is slow growing and has a linear polyp extension rate of approximately 10 mm per year and the growth of a reef can amount to as little as 5 mm per year. The reefs provide an important habitat for numerous species or marine animals and provide a key role in benthic ecosystems in Norwegian waters. Because of its shallow depth and importance for research the Tautra sill was made a marine protected area in 2009. In 2016 Rødberget, a bit further out in the fjord, also received status as a marine protected area for its rich diversity of marine life, including at least 15 of 17 known cold-water coral species in Norwegian waters. When diving on the Tautra sill traditional anchoring is not an option because of the risk of damaging the protected corals. 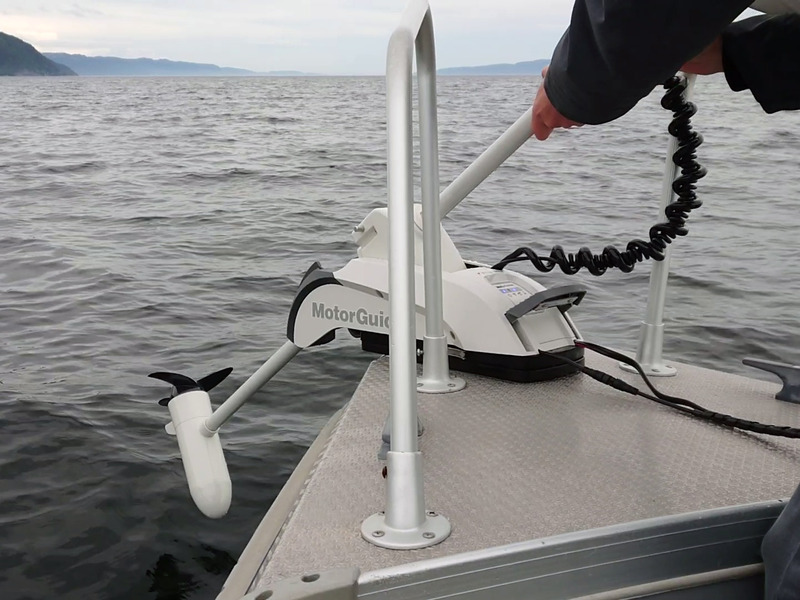 Earlier this fall we installed an electric Motor Guide GPS engine on our Blueye boat. With the push of a button we can anchor exactly where we want, without the hassle or risk of dropping an anchor. The GPS engine will keep the boat in place. Andreas lowering the MotorGuide GPS Engine mounted in the bow of the boat. The engine will keep the boat in position without having to drop a traditional anchor. The sight when you get down to the reef is impressive. The bright white Lophelia light up the dark, with many redfish (Sebastes viviparous) swimming between the reef structures. In-between the coral polyps we find multiple species or brittle stars and crustaceans. Colorful yellow and gorgonian fan corals and different types of sponges add color to the white reef. 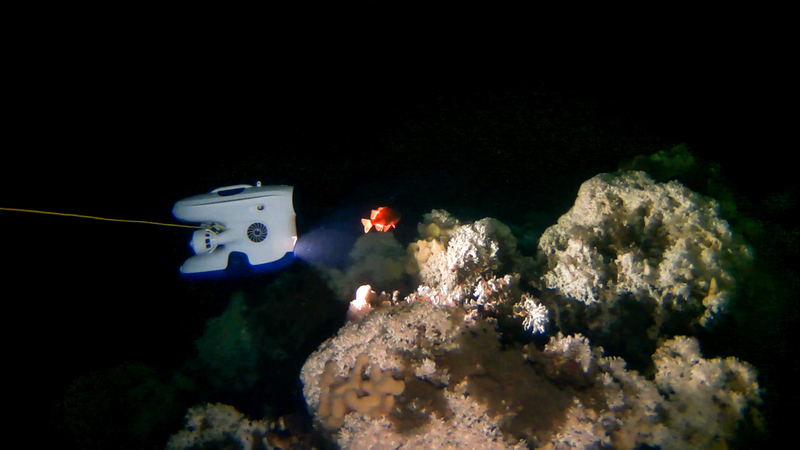 Blueye Pioneer underwater drone filming a rosefish (Sebastes viviparus) hovering over the reef. Lophelia pertusa reef to the right, soft fan coral Paramuricea placomus in the front. Being less accessible and visible for us humans does not make the cold-water coral reefs any less important for marine biodiversity than the more famous corals reefs found in the tropics. In 2002 the largest known cold-water coral reef was discovered on the coast of Norway outside Røst in Lofoten at 300-400 m depth. The reef is 35 kilometers long and 2.8 kilometers wide and was protected in 2003. Read more about our voyages. Lophelia pertusa in Norwegian waters. What have we learned since 2008?